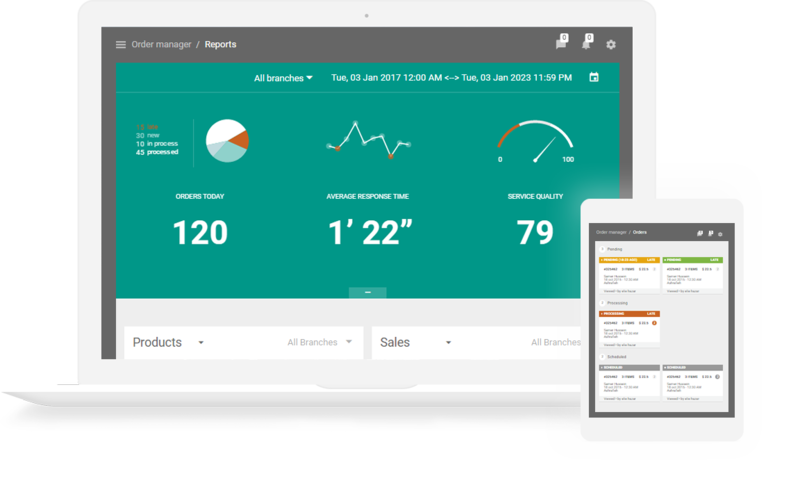 Manage orders, Edit menus and coverage areas, Push news, Create coupons and promotions, Share delivery location with drivers, Get detailed insights and reports. Receive orders directly from your facebook or instagram. Add a shop now button on your page and posts. Get your own URL or domain for web ordering. Your users will be able to order through any mobile or desktop browser. We compile and publish ordering apps for you. Your own brand's logos, icons and colors. Add an online payment to your package. We can integrate Paypal, Pinpay, your bank's payment gateway or any other provider api. A one time setup fee may apply. SMS are an essential part for user's authenticity verification. We offer the first 200 sms messages for free. Additional sms packages can be bought in bulk depending on your expected customer growth. We will advise your marketing team on successful digital, print, and social media tactics. We offer pre-designed marketing materials templates to help you better promote your app. If any other questions arise, please feel free to contact us at any time. Hello, We are online. Chat with us now.